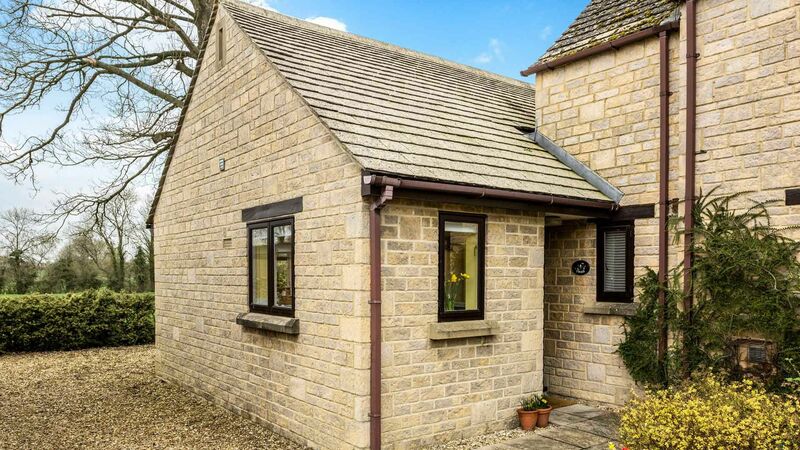 Twigs is a beautiful Cotswold retreat, tucked away in the rural village of Langford. 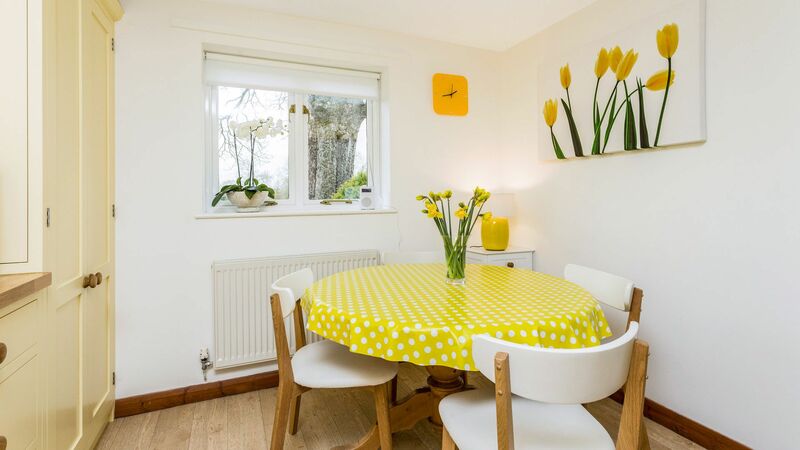 Lovingly refurbished by the current owners, the property offers supreme comfort for 2-4 guests in modern accommodation, all situated on one level. 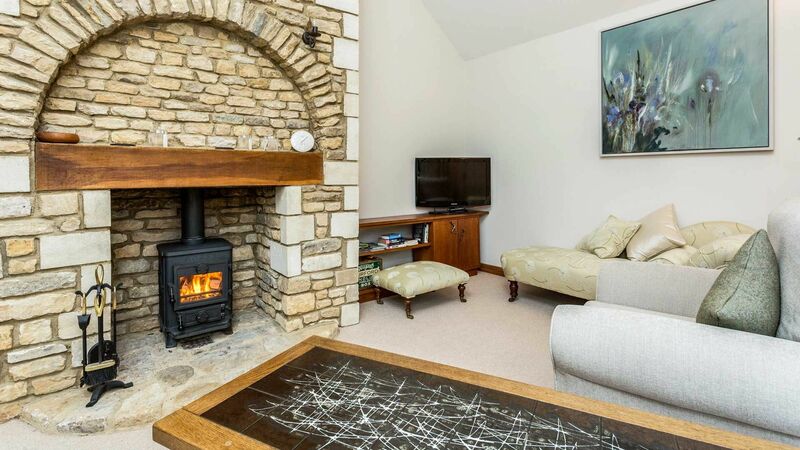 Relax and enjoy a glass of wine on the terrace whilst admiring the beautiful garden and countryside beyond, or snuggle up in front of the feature fireplace in the colder months. Custom built and attached to the owners' home means the lovely owners are on hand if needed during your stay. 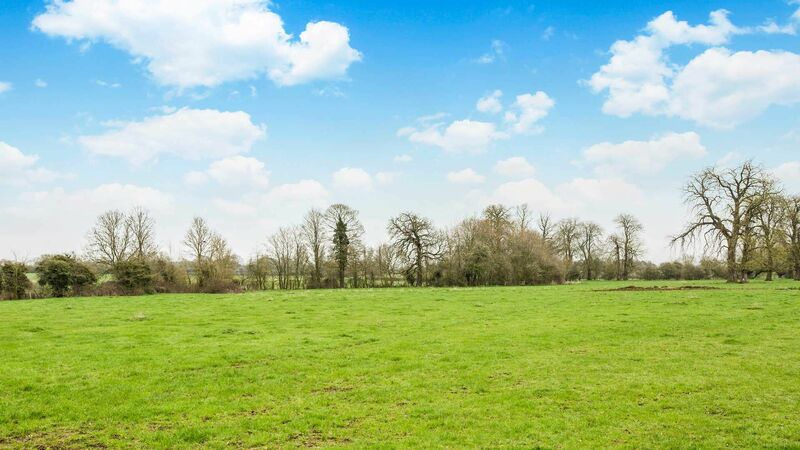 The rural location is the perfect place to relax, unwind and explore all the Cotswolds has to offer! 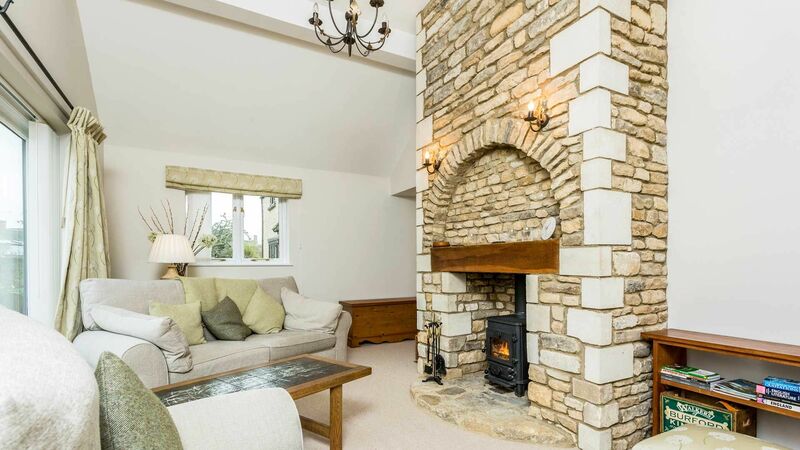 The Living room offers plenty of comfort with large patio doors opening out to the beautiful garden, providing stunning views of the Cotswold countryside. Around the exposed brick fireplace and wood burning stove are comfortable sofas, arm chair and chaise lounge. If you can tear your eyes away from the beautiful view across the garden, there is a TV with DVD player. The light and modern kitchen is fully equipped with fridge/freezer, oven, microwave, dishwasher and plenty more to cook an amazing meal. At the end of the kitchen there is a table for 4. 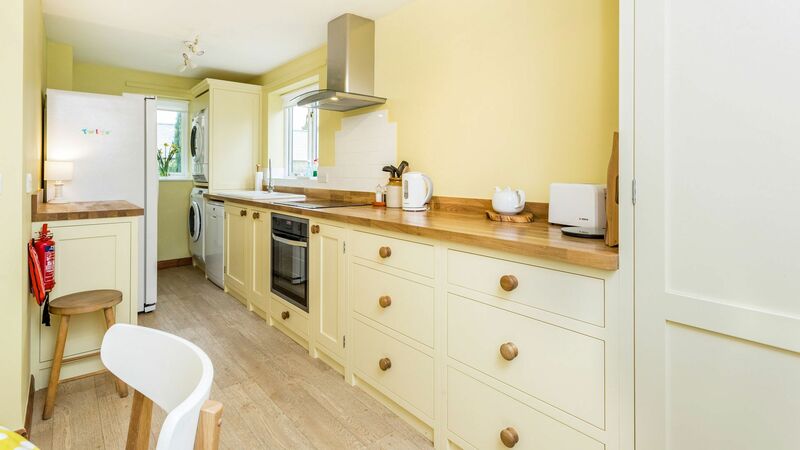 The kitchen is also equipped with a washing machine and tumble dryer. 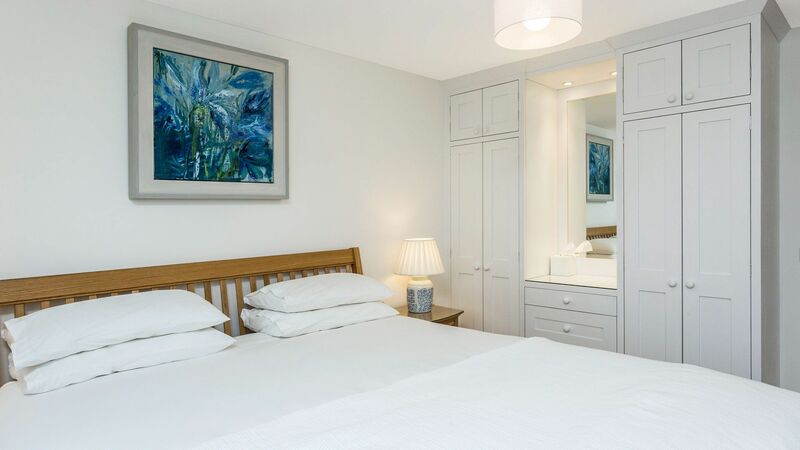 Lovely bedroom with super king bed, drawers and wardrobe, plus TV. 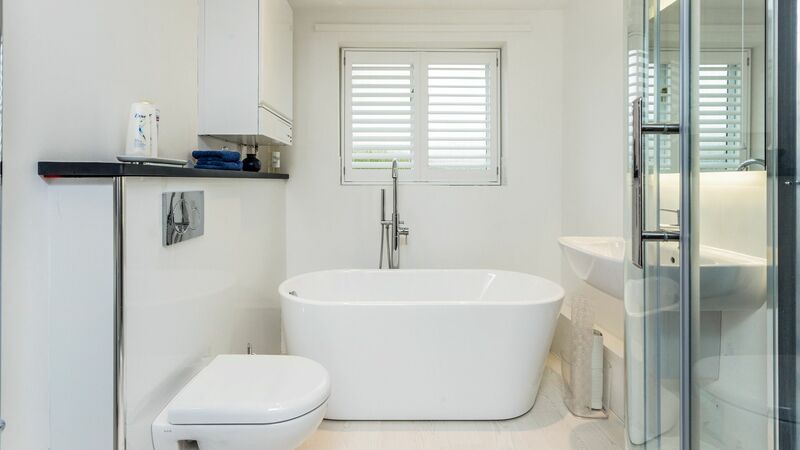 Luxurious bathroom with separate shower enclosure, stylish bath tub, loo and heated towel rail. 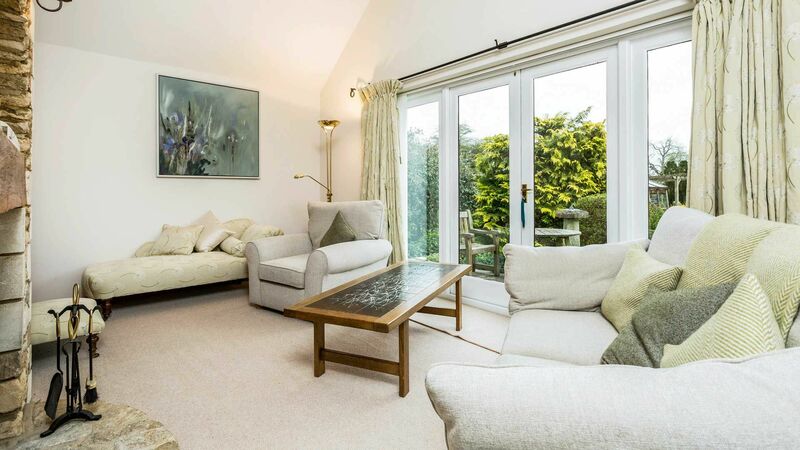 There is a double sofa bed in the sitting room which can accommodate an additional 2 guests if required. 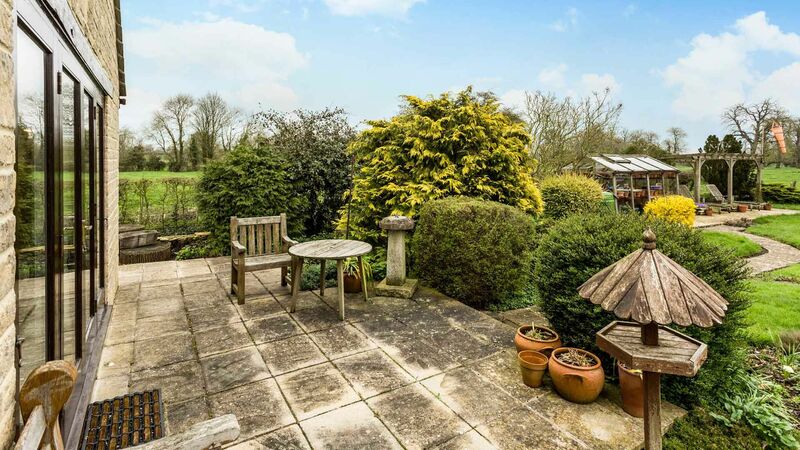 Large garden which is shared with the owners, guests are free to enjoy! Terrace with outdoor seating and beautiful views. Parking for 2 cars on private gravel drive. Very clean and all amenities we could have thought of were provided. Warm and cozy at night. Fireplace was already set up so it was easy to light. Internet speeds were good enough for streaming video and the water pressure was good with ample hot water. Overall very satisfied and would thoroughly recommend. We loved our stay in Langford and hope to return soon! The cottage was just lovely, very clean and well equipped with everything you could possibly need. Our host was very welcoming and thoughtful. Thank you! Prices stated are based on an occupancy of up to 2 guests. An additional supplement of £75 per person will be applied, up to the maximum occupancy of 4. Please contact us for further details regarding additional occupancy as it is subject to sleeping configurations and owner permission. A damages deposit of £250 is required to cover any breakages or extraordinary cleaning. In most cases, this will be taken as an authorisation on a card. 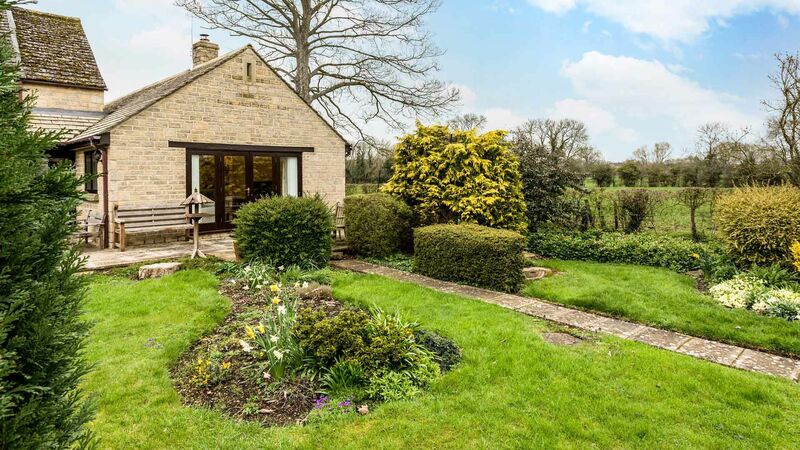 The pretty rural village of Langford is located close to the villages and towns of Filkins (know for The Five Alls Pub), Lechlade (where you can rent a boat on the river) and Burford (a mediaeval town with plenty of history. Within the village there is The Bell Inn, an excellent pub, offering delicious pub food with a great wine list! Giles Robin Patrick Coren a British food writer visited The Bell Inn and recently wrote (in January 2018), “On the final day of 2017, I had not just the best mouthful of the year, but the best mouthful of my life” which was published in The Times! While you are here, why not also visit nearby Cotswold Wildlife Park, Burford Garden Centre, Kelmscott Manor, Crocodiles of the World, Upton Smokery and the Cotswold Water Park. You will not tire of things to do. There are also numerous fairs, markets and exhibitions in local towns and villages throughout the year!